Phew~! This wall took a lot longer to do than I anticipated! (Around 5-6 hours). Maybe it was because I had no solid idea in my mind what I was going for when I started. 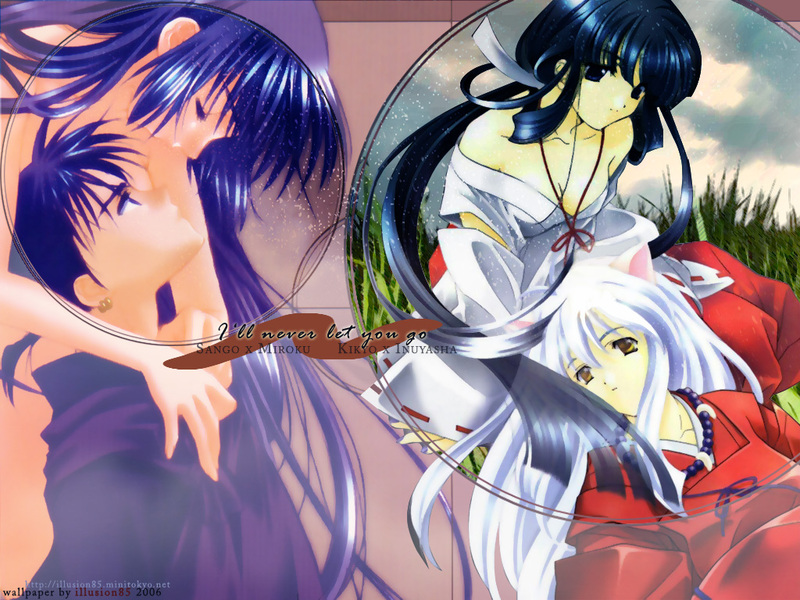 ^_^' I just loved these two images of the couples of in Inu Yasha and wanted to merge them into one wallpaper. :) From my knowledge, both these images come from (different) doujinshi covers. The hardest part was making them fit together even though they were probably by different artists and the quality of each image was different. I also overlayed some effects and created the background for Kikyo x Inuyasha from a stock image as the original bg was just black and little too plain. wow, i love this wallpaper, thanks! Good job!